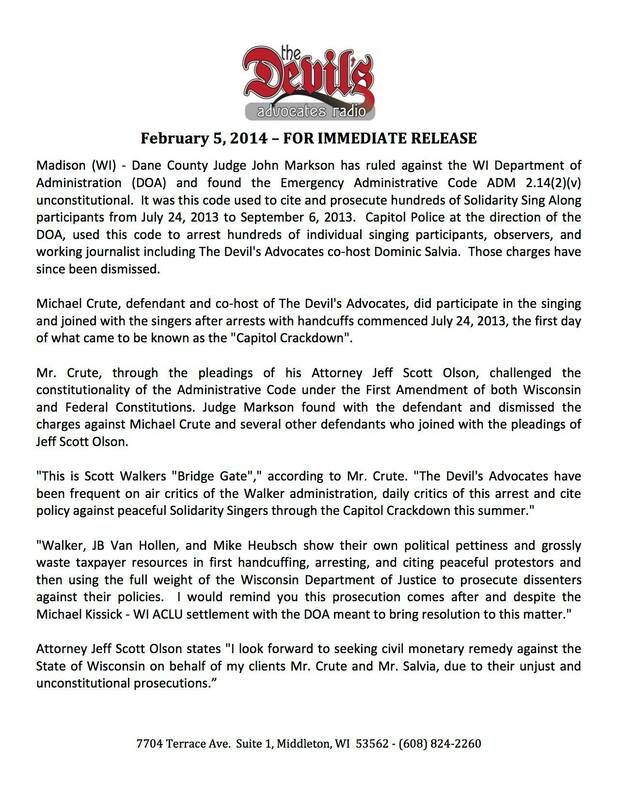 Dane County Judge John Markson dismissed charges against political dissidents arrested during Scott Walker’s failed crackdown on unauthorized singing in the Wisconsin State Capitol. Michael Crute was arrested on July 24, 2013, for “unlawful assembly.” Photo by Erica Case. Defendants Michael Crute and John Bell, among others, had challenged the constitutionality of the emergency rules, arguing their First Amendment rights under the WI and US Constitutions were violated. Markson agreed in a written decision issued today. Department of Justice Assistant Attorney General Rebecca Weise had argued the cases should proceed. Markson’s ruling could set precedent that would lead to the dismissal of ~300 charges issued under Administrative Code 2.14(2)(vm)(5) for “unlawful assembly” last summer. Michael Crute and his attorney Jeff Scott Olson issued a press release. 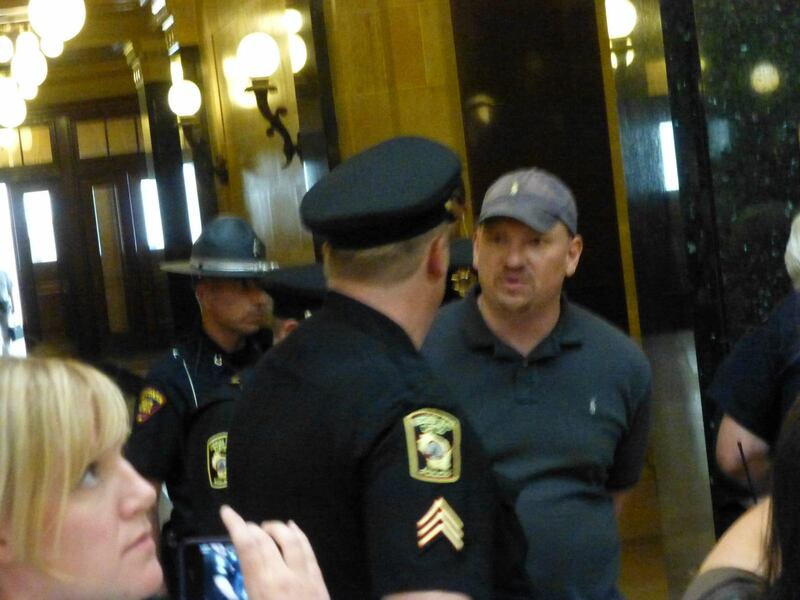 “This is Scott Walker’s ‘Bridge-Gate’,” said Michael Crute. The Governor should be prosecuted for having wasted tons of money on something totally absurd. Since when people have no the right to peacefully protest against anybody? Sock it to them, sock it to them. Don’t you just love it when scooter gets spanked like the little kid he is ?